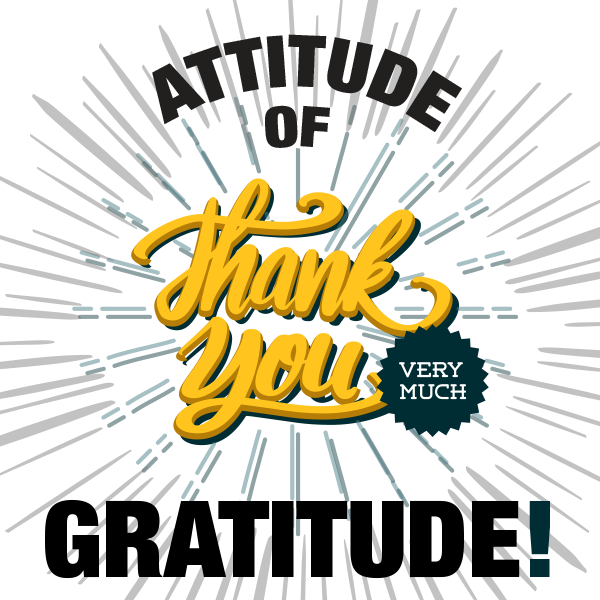 We are excited to announce our Attitude of Gratitude sweepstakes winner for the month of March! During the sweepstakes, each customer logging in to their SocialCRM dashboard was rewarded with a sweepstakes entry for each login they made. Then, we randomly selected from that list and awarded one winner with a free month of the SocialCRM auto shop marketing service. Our winner for March, Maxi Auto Care Riverside, logged in 5 times during the month and replied to five consumer reviews! They used the Manager SE star-notification as their reminder to visit the M1SocialCRM.com dashboard and respond to consumer reviews, including the one below. Their “Attitude of Gratitude” is the perfect way to reciprocate gratitude expressed by their consumers during the consumer review process and, therefore, easily build better customer relationships. Congratulations to Maxi Auto Care Riverside for winning a free month of SocialCRM service! 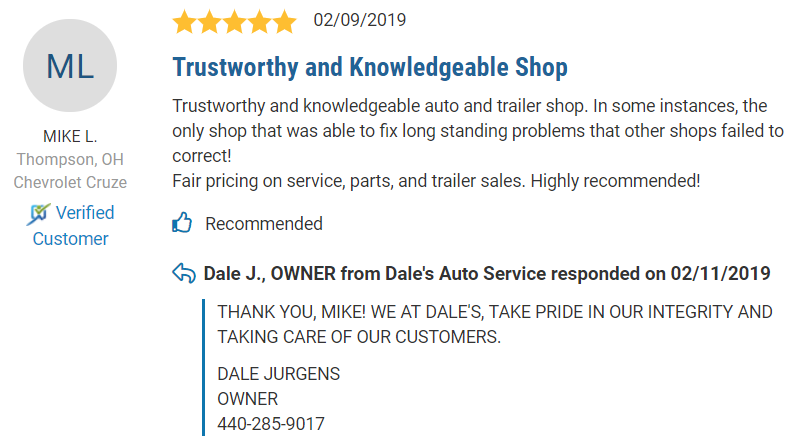 February 2019 Winner: Our winner for February, Dale’s Auto Service, logged in 63 times during the month and replied to eight consumer reviews! December 2018 Winner: Our winner for December, St Lucie West Auto Repair, logged in 21 times during the month and replied to three consumer reviews! November 2018 Winner: Our winner for November, Roxbury Automotive, logged in 30 times during the month and replied to thirteen consumer reviews! October 2018 Winner: Our winner for October, Modern MotorCars, logged in 10 times during the month and replied to three consumer reviews! September 2018 Winner: Our winner for September is Dream Autos Service Center. 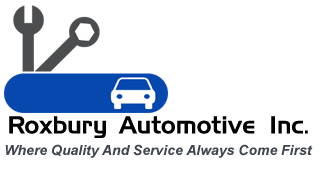 Dream Autos logged in fifteen times during the month and replied to eighteen consumer reviews! August 2018 Winner: Our winner for August is Drellishak’s Auto Care. Drellishak’s logged in nineteen times during the month and replied to sixteen consumer reviews. July 2018 Winner: Our winner for July is Hillin’s Auto Repair in San Antonio Texas. Hillin’s logged in eight times during the month. June 2018 Winner: Our winner for June is Excel Diesel & SUV in Brighton, Colorado. Excel Diesel & SUV logged in ten times during the month.